We are getting creative with our cookies with this class. Kids will make and decorate some awesome sweet treats to take home. 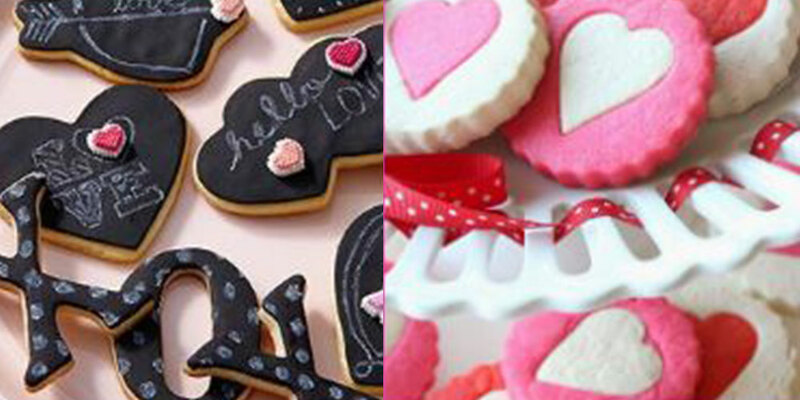 This workshops itinerary includes chalkboard cookies, “Love is in the Air” fondant sugar cookies, and rolled heart cookies. We will also be making some delicious cupid milkshakes too! A box of cookies to go home with each child. Class is $27.99. Add a Lucky Cupcake Kids Apron on for only $15.This is a drop off kids class for ages 7 and Up ONLY. Children must wear closed-toed shoes and have long hair tied back.